Keeping your data center secure is a top priority. Whether your organization is a business, educational institution, or government, keeping your data safe and secure is extremely important. Keeping your data center secure is a top priority. You will want to make sure you have the best data storage technology available. Here are some ways to ensure your data center remains secure. Physical attacks can be even worse than some cyber attacks. 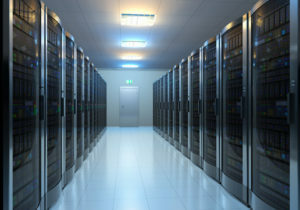 Make sure whichever data center you choose has significant physical security measures in place. Trust En-Net Services to keep your data center secure by offering top-notch data storage solutions from leading manufacturers. Zoning in a data center keeps it secure -and organized- by keeping groups of data separate from one another. For example, say a center has 5 zones, and somehow zone 4 is corrupted through hacking or some other source. Since the data center is zoned, zones 1-3 and five will be fine, and administrators will have a much easier time finding the source of the corruption and dealing with it than if all the data was just jumbled together. Since data centers are physical buildings, they are susceptible to the same types of natural damage than any other building is. High winds, driving rain, sleet, snow, extreme temperatures, electrical storms and more can all jeopardize the security of a data center. Any time there is any kind of extreme weather, there should be a thorough visual inspection of the building. Any imperfections should be fixed to ensure the structure remains secure. There should also be a backup power supply so that clients will never lose access to their data because of a power outage. Perhaps most important of all, the security measures that have been put in place should be tested often. It is a lot easier not to have problems in the first place than it is to fix something after an incident occurs. This entry was posted on Friday, March 23rd, 2018 at 11:00 am. Both comments and pings are currently closed.